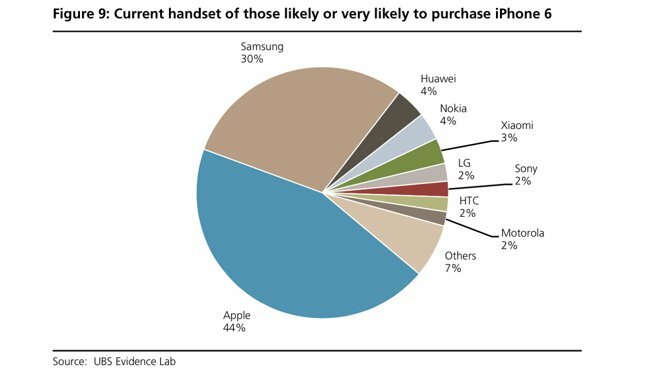 The results of a recent global survey of prospective smartphone buyers conducted by UBS forecast a favorable share of iPhone 6 Plus sales and strong demand in China, prompting the investment firm to raise its price target. The results of the survey conducted by the UBS Evidence Lab were published this week by analyst Steven Milunovich. Encouraged by the results shown by the survey, Milunovich has increased his price target on shares of AAPL to $125, up from his previous projection of $115. Milunovich said the survey suggests demand for the iPhone 6 could be about 190 million units through December of 2015. A total of 4,000 respondents were polled from the U.S., U.K., Italy, and mainland China. The analyst was most surprised that respondents indicated they prefer the iPhone 6 Plus over the iPhone 6. Demand for the 5.5-inch iPhone 6 Plus was greatest in China, but even in the U.S., more than half of respondents planning to buy an iPhone said they preferred the Plus. Milunovich doesn't expect that the iPhone 6 Plus will actually outsell the iPhone 6 on the market, but he did say that the survey suggests demand for the iPhone 6 Plus might exceed market expectations. With a starting price of $299 with a new two-year service contract, that would bode well for Apple's bottom line. 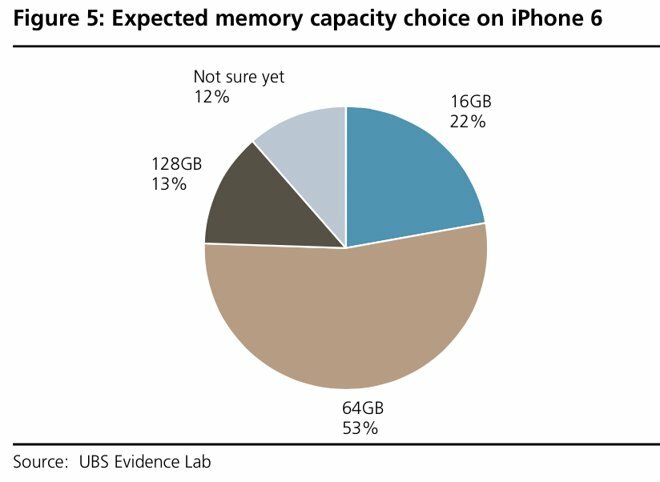 Respondents also indicated they are most likely to buy the 64-gigabyte version of the iPhone, which along with high demand for the iPhone 6 Plus could help grow the average selling price. The survey also found that almost one-third of interested iPhone buyers currently own Samsung phones. As a result, Milunovich believes the iPhone 6 upgrade cycle could bring about significant share gains for Apple, as users switch from Android devices to iOS. And those who do switch are highly likely to stay— even in China. The survey found that Apple has the highest overall retention rate of 84 percent, which is twice that of Samsung or Xiaomi. The survey also found that over 70 percent of iPhone 6 buyers say they are at least somewhat likely to use Apple Pay. "Apple has captured the most valuable real estate in the world —a position in the minds of consumers," Milunovich wrote.